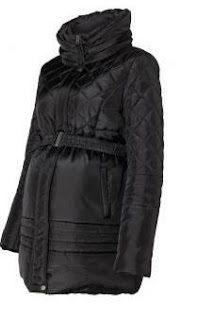 So I'm 7 months pregnant and have so far avoided purchasing a Winter Maternity Coat, which I will only get 2 months use out of! However, with temperatures dropping and the forecast lengthy cold snap predicted, combined with the fact my coat buttons won't do up andIi just popped a seam at the back squeezing into it (oops!) I'm thinking I may have to invest in one. I want something that is a reasonable price and can be worn afterwards too so it's not a waste of money. Looks great and could convert after the birth. Made mainly from Polyester though so maybe not as warm as wool. Could work well over lots of knitwear and keep the rain off, though not giving much warmth itself but defo a bargain and could be worn afterwards. 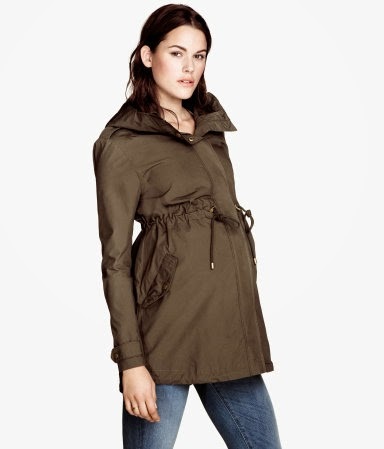 Looks very warm and it's waterproof, good for days out with the toddler a long time after the birth. A stylish piece from my fave mat wear shop, in wool so hopefully warm, and you could wear knitwear underneath to keep warm. Also easily fits into post pregnancy wardrobe.